Mirren Kincaid once served the tribunal as their most creative and ruthless executioner—a time when he was known as the Slayer. But when assigned a killing he found questionable, Mirren abandoned the tribunal’s political machinations and disappeared—only to resurface two centuries later as the protector and second-in-command of Penton. Now the tribunal wants him back on their side. The first in the series, Redemption, is amazing (you can check out my review of Redemption by clicking here) and I found this one is even better. 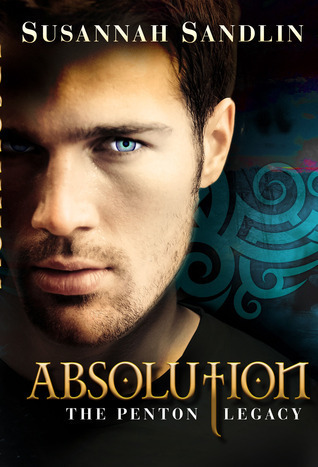 The excitement and suspense is on the same level as the first but I think it was the main characters in Absolution that I connected with more. Thanks Miki! Mirren is awesome! His grouchiness and how Glory dealt with him cracked me up. lol! i think Will's story will be good too. I have a feeling there's a lot inside that boy that'll make us love him too. LOL! I'm glad I can help you out in that department B. You know I'm a total fang girl. I understand your wariness though. There's a lot of them out there. Some good some bad. I particularly like the fangers in this series. The most talented of authors are coming up with new ways to explore this genre and entertain us. Hopefully some day you'll give them a chance again. So are you reading mostly contemporary and moving away from the paranormal? Really great review luv. With a recommendation like this I totally have to add this one to the top of my TBR pile. Can't wait to get started! !